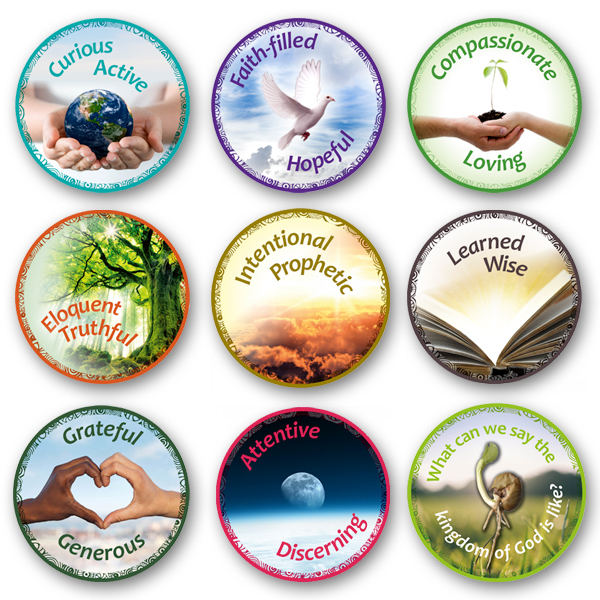 The Catholic Schools Pupil Profile greatly supports children’s spiritual, moral, vocational, social, and cultural development. 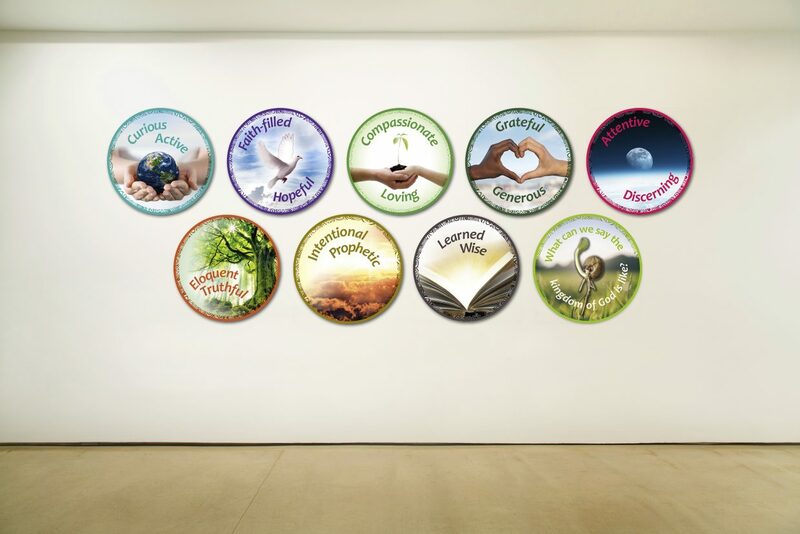 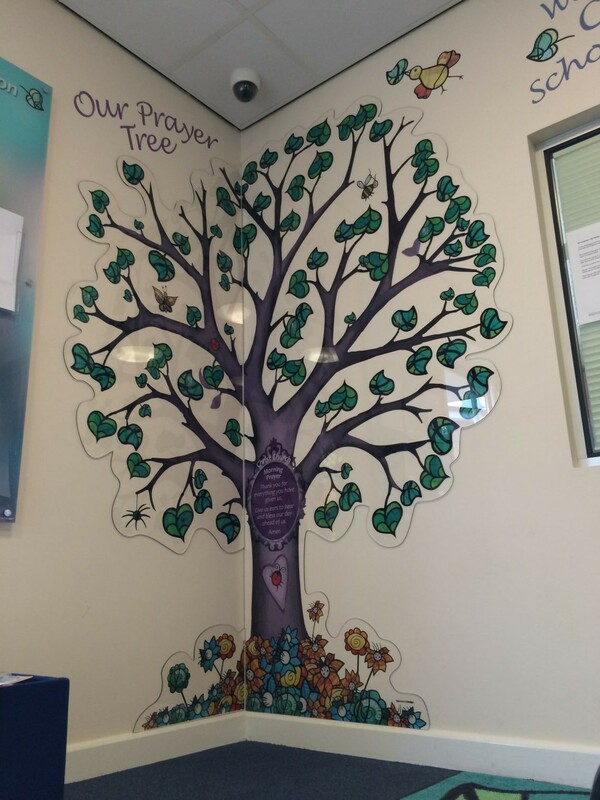 Did you know we have created a collection of child friendly displays focusing on the Values and Virtues? 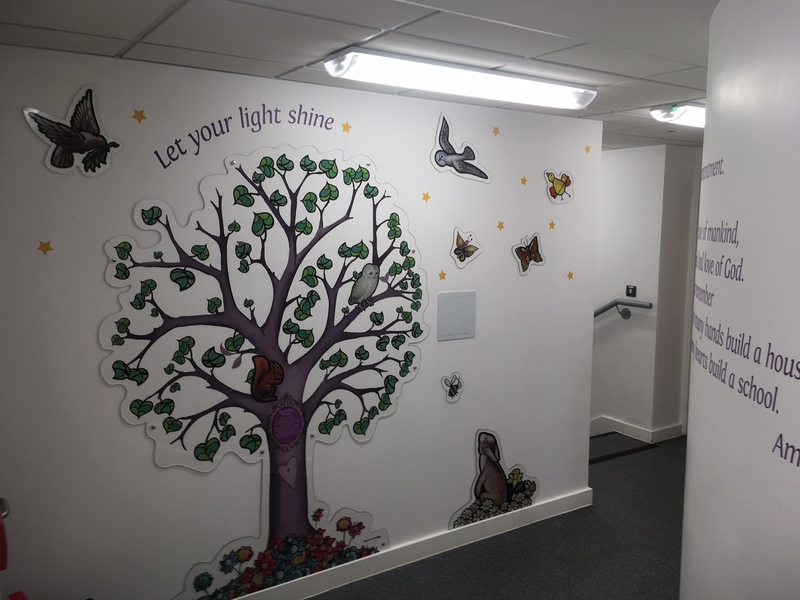 They are particularly aimed at 4 – 11-year-old pupils using bright engaging colours linked to the pairings, photography and illustration, as well as selecting a simple, clear typeface with the preferred letter ‘a’ to aid early readers. 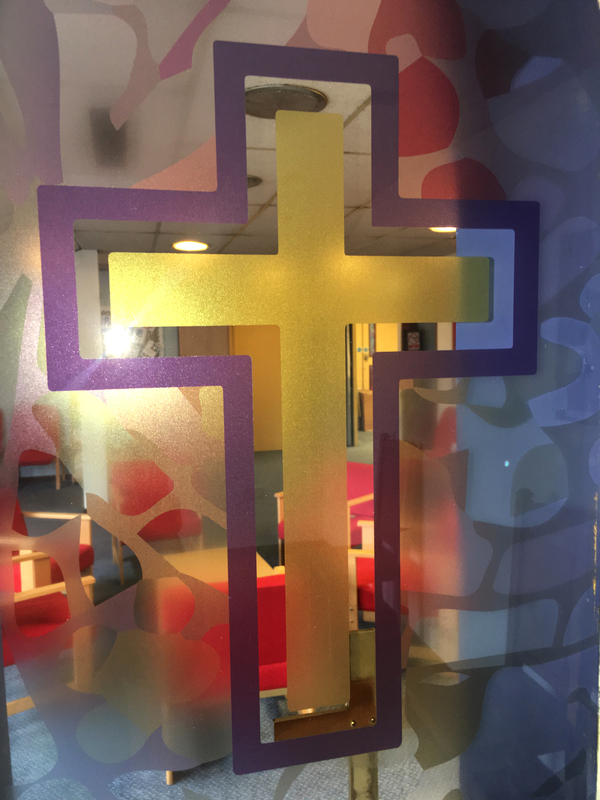 If you are a Catholic or Church of England school, your Christian ethos will be the foundation of everything you do. 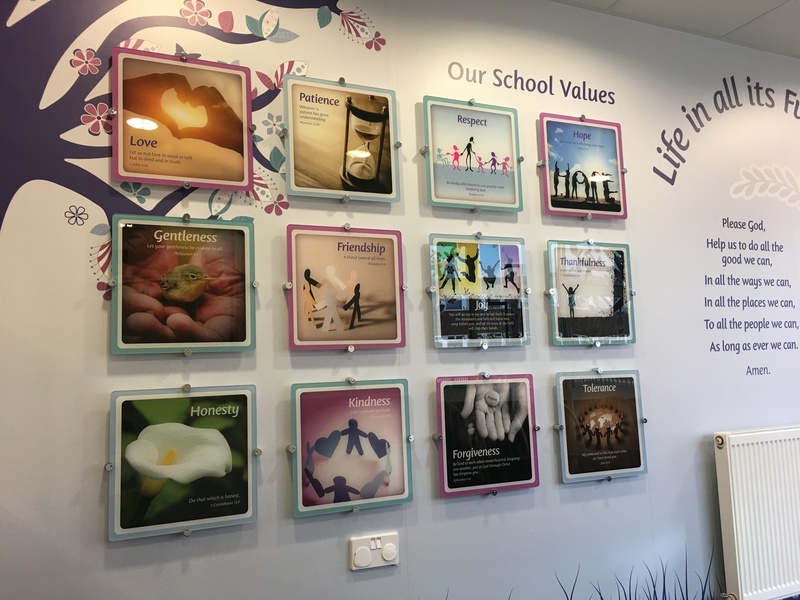 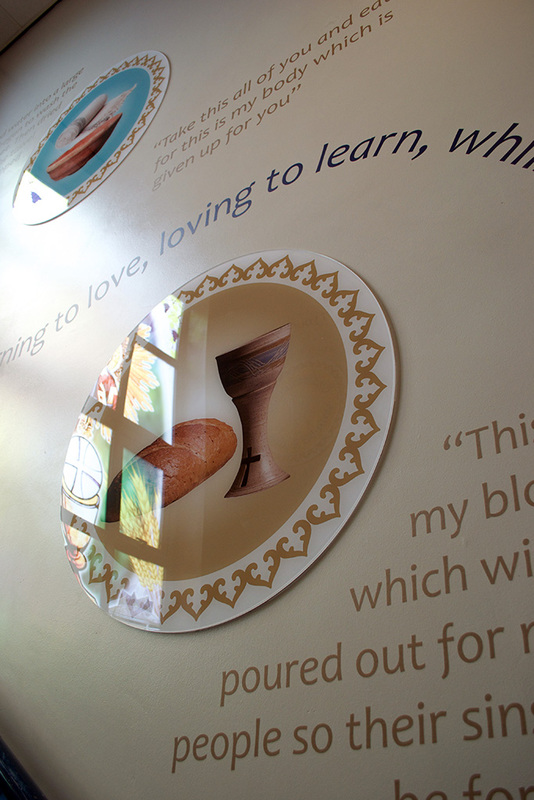 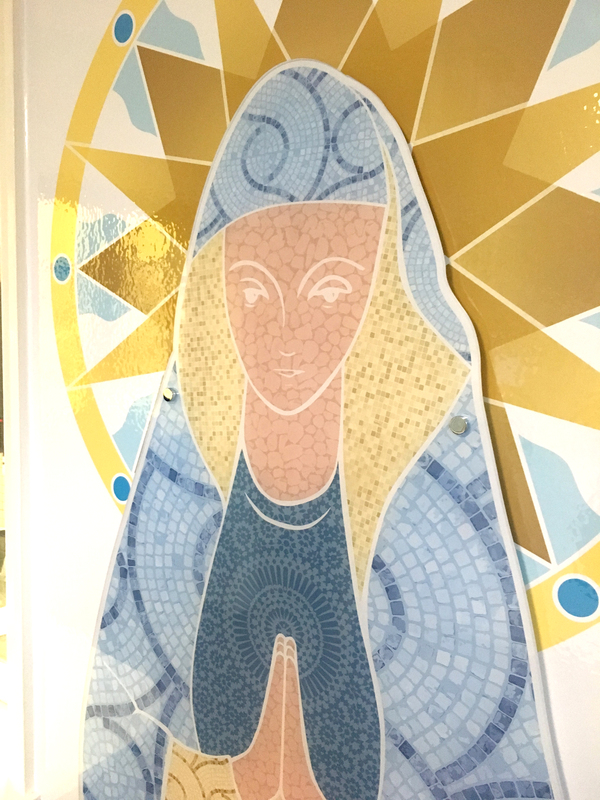 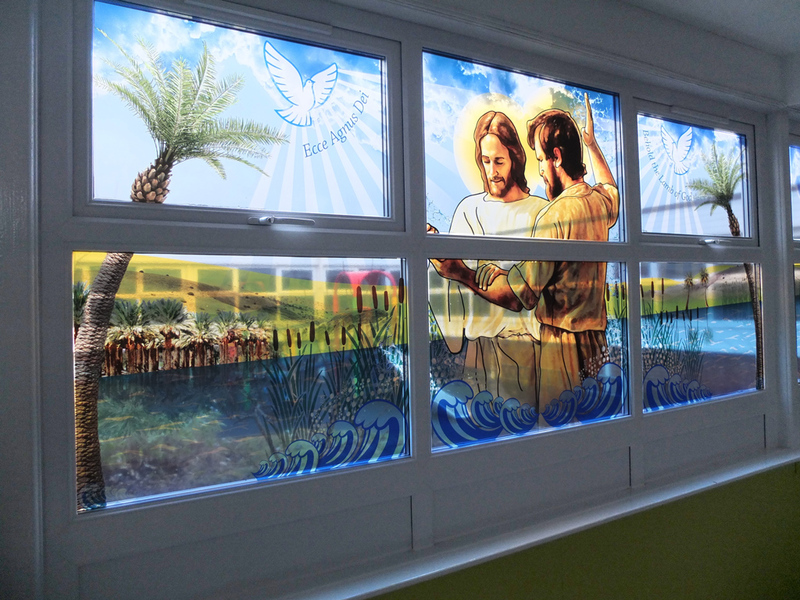 Let Two Thirds Design help you to create faith based displays by producing signage and display boards that reflect your distinctive Christian character, showing the outside world as well as those inside, the school’s Christian foundation. 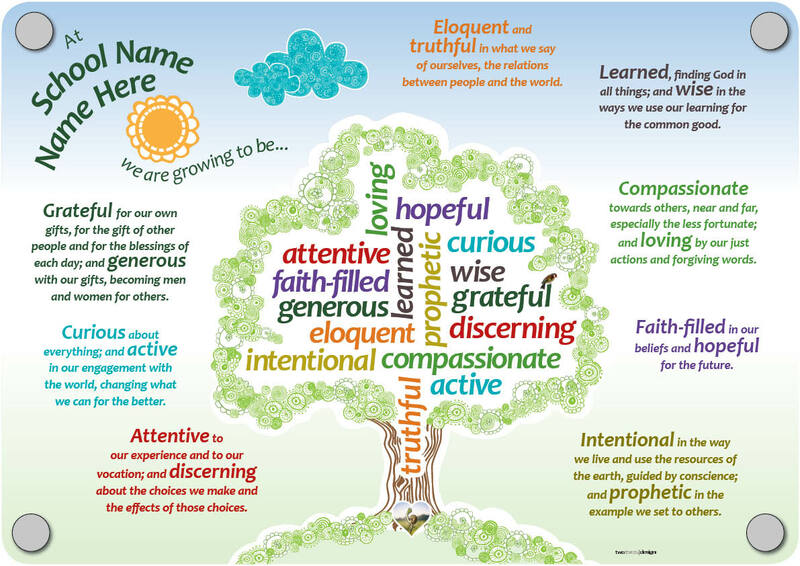 Take a minute to look around your school. 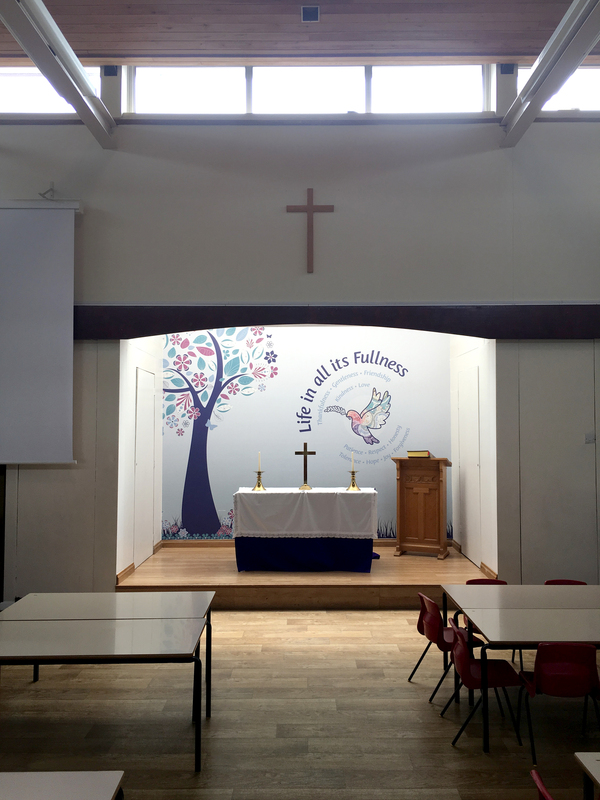 Does your school environment reflect your faith? 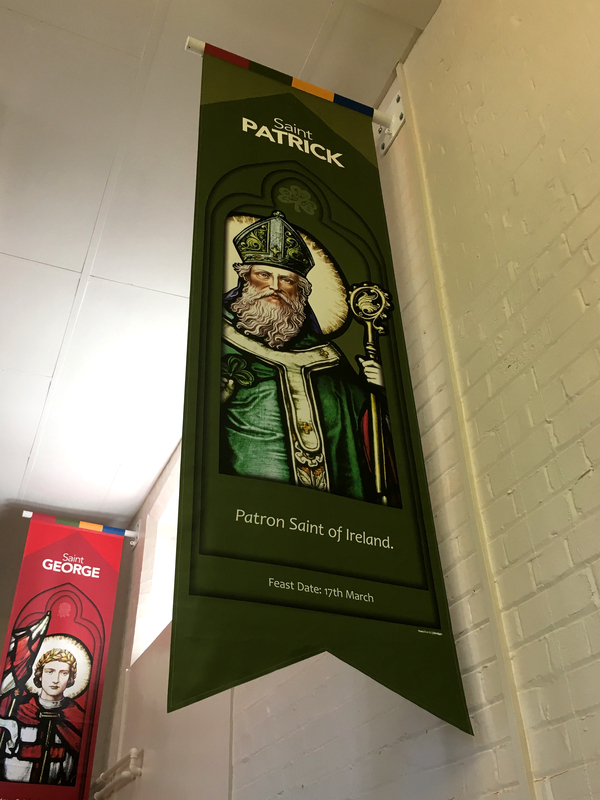 If you answer no, then get in touch with the Two Thirds Design team – we’ll be happy to help! 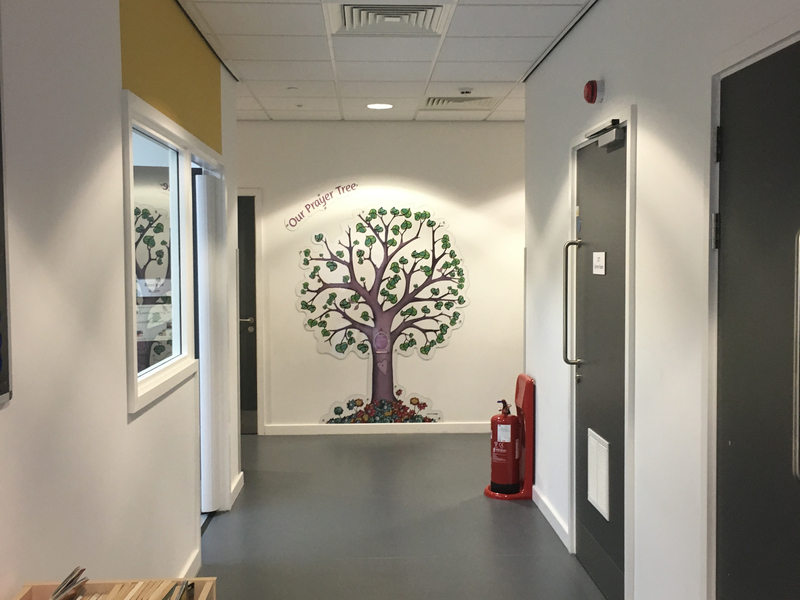 Our solutions are varied as your school is unique and can include typography, illustrations, photography and pupils’ artwork. 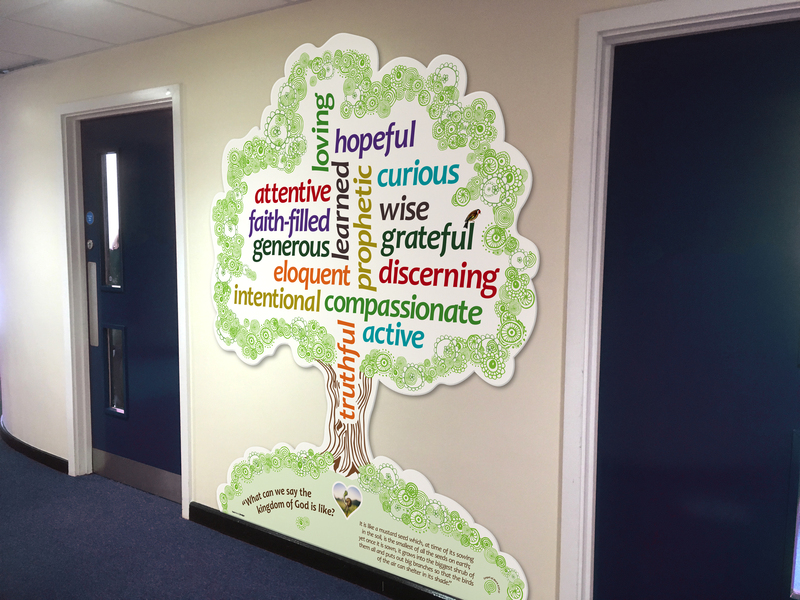 A selection of the latest available materials can be used to transform any area, from high quality glossy acrylic plaques to cost effective Foamex boards, bespoke hardwearing wallpaper to a printed metal DiBond, for outdoor and indoor use.